Parasites don’t make good house guests. If worms have invaded your horse’s personal space, don’t panic. This guide will help you deworm your horses so they stay healthy and happy. Dewormer medication removes adult worms from the intestines, and it reduces the chance of reinfection by decreasing larvae expelled in feces. Different dewormers work at different paces, so check the packaging to find out whether it’s a slow-kill or quick-kill medication. Dewormers are effective only when the full dose is taken. If your horse doesn’t take the full dose within a day, wait a few days before attempting to give another dose. Make sure your horse doesn’t have food in their mouth when you administer the dose, because it will be easier for them to spit out the medication if they already have hay or grass in their mouth. The way you administer the deworming paste may depend on your horse. For example, some seem to accept it more readily if you dispense it between the molar and cheek. Others will accept it better when it’s squirted onto the tongue. 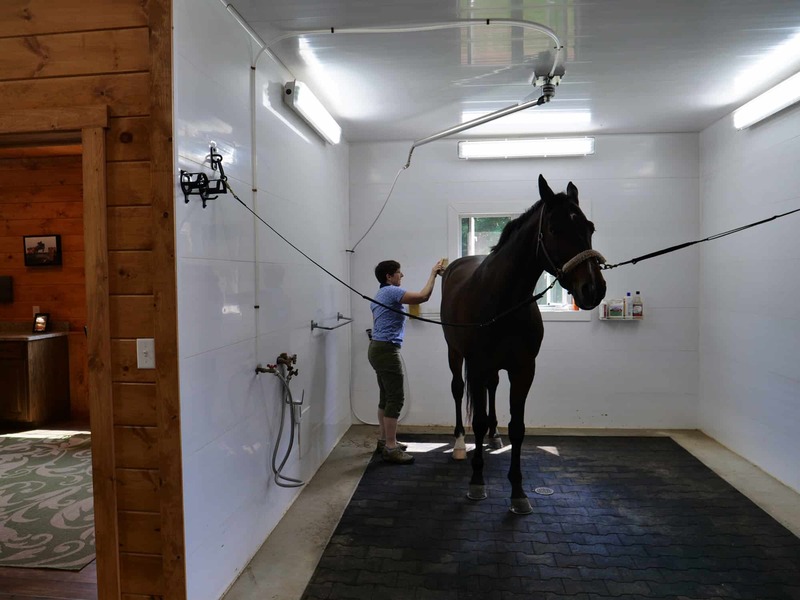 You may need to experiment to find out what’s most appropriate for your horse. No matter where you direct the paste, squeeze out a small amount at a time and allow your equine friend to swallow between each squeeze. If your horse is resistant to direct oral deworming, try disguising the medication in feed or treats. Another alternative is to coat an empty deworming syringe with a sweet substance, such as honey or sugar, to help the horse learn to accept the syringe into their mouth. Once they’re accustomed to the sensation, you can try a medication-filled syringe. Still hesitant to tackle the task of deworming your horse? Here are some extra tips to provide more insight into the power of this process and increase your confidence in helping your equine overcome their worm invasion. It’s easy to overdose small horses, like foals or miniature horses, so one of the most important horse deworming tips is to consult a veterinarian for the proper dose recommendation. Then, double-check the dose size before giving it to the horse. Be more vigilant about identifying and treating horses under three years old. Younger equines are generally more vulnerable to parasites than older horses. While dewormers can be critical for keeping your horses healthy and happy, it’s also important to reduce their risk of exposure. Practice good environmental control by picking up manure regularly. Rotating the horse’s pasture when goats or cattle are present can also help reduce egg exposure. Quarry View Construction knows you want to keep your horse healthy and happy—that’s why our team works so hard to provide top quality new barn design and construction. Get in touch with us to learn how we’ll build a barn that makes you and your horse happy. These horse deworming tips are for general informational purposes. Always follow the dewormer manufacturer’s instructions and heed advice from your equine veterinarian.